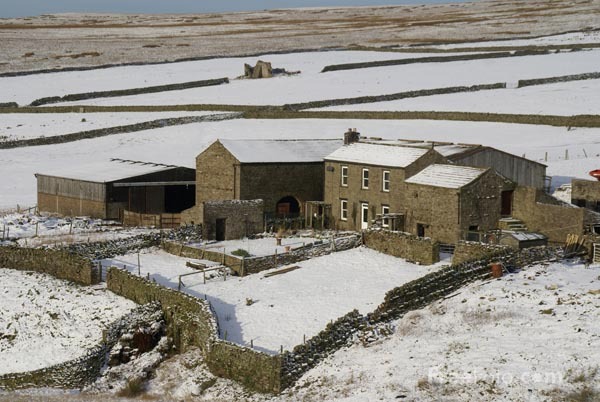 Yorkshire in winter. Pretty bleak. But lovely. If you live up here in the Northern Hemisphere, and fairly far from the equator, January is a dreary month. It’s gray and cold and icy. Snow only looks pretty for a few hours, and any rain you get is either going to freeze on contact (bad), or send the snowpack into the basement (just as bad). The glitter of Christmas and New Year’s just seems sad and shabby come January 2nd. So it’s nice to have another reason to have the warm glow of candles in your home…. Because 159 candles sure are bright. Of course, I don’t really recommend lighting 159 candles. That would be a fire hazard, and if you need to smoke a criminal out of your wall, wet straw is more effective. But still, it’s nice to do a little something to celebrate the Great Detective. Play some Clue(do), introduce your children to Rathbone or Brett, read a story aloud. Get together with some friends for a film-fest or trivia contest. Cosplay. Gaming. Envying each others’ collections. Grabbing a pen and paper and writing up your own case. Or simply having a lot of cake. Mycroft would approve. There are many theories out there as to why Sherlock Holmes has retained his popularity for over a century, while so many other heroes have waxed and waned. I expect the reasons are slightly different for each individual fan. But I do believe that one of them is that, as antisocial as he may be, he tends to bring people together–and to bring them together for play. It’s hard to be a grown-up. At some point, we are required to put our imaginations aside for more demanding, sometimes more important, tasks. I did it to my nine year-old son today, taking him away from his little imaginary world to work on a school project. And the older he gets, the more he’ll have to do this, until he’ll be lucky to find a spare hour here and there to be himself, rather than a worker, a father, a responsible adult. He may really like this. Lawncare may become his great passion, and home plumbing his fulfillment. But if he’s like most people, there will be a part of him that wants a creative escape–and if he’s wise, he’ll allow himself to find one. I’ll be honest: sometimes I feel goofy, being a middle-aged mom who really, really likes Sherlock Holmes. I know many of my friends and acquaintances don’t “get it.” But by allowing myself this bit of imagination, I think I’ve become a better person in general, and I’ve met a lot of wonderful people. We may not agree on many things. Some of us are religious, some aren’t. Some of us are liberal, others, not so much. Some of us don’t even speak English. There’s a group who loves crossovers, AU, and all sorts of…pairings. There’s another who would rather read only the Canon. But in the end, rather than splintering off and fighting (too much, anyway), we find ourselves agreeing to disagree because, hey, “it’s all fine.” We like Sherlock Holmes, and we’re having fun–together. And I think that Sherlock Holmes, the man who could go anywhere, and talk to anyone, would rather like that. 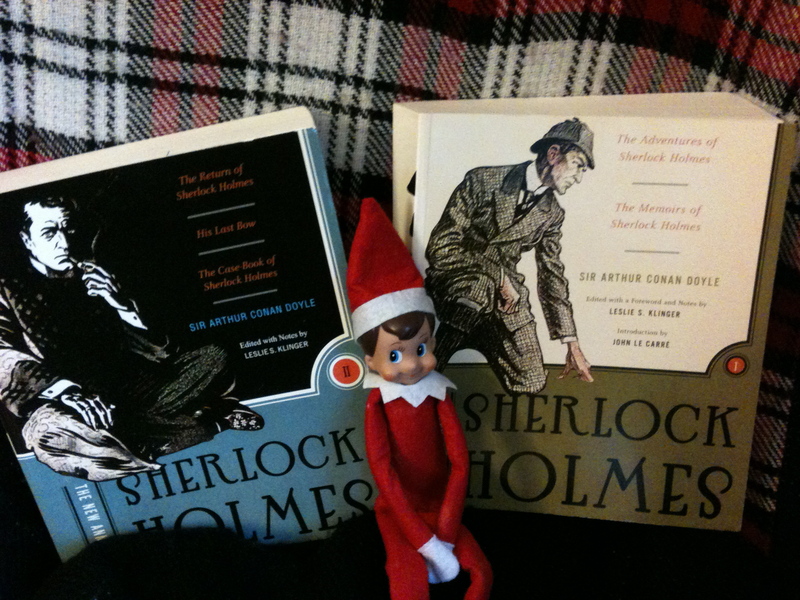 Congratulations to Resa Haile, who wins the 2 volume Klinger Annotated Sherlock Holmes Short Stories! There are several reasons why, erm, scholars believe that Holmes was born on January 6th. There were eleven total entries (two of whom exempted themselves from the drawing), and between them, you covered everything. 1854 is easy. 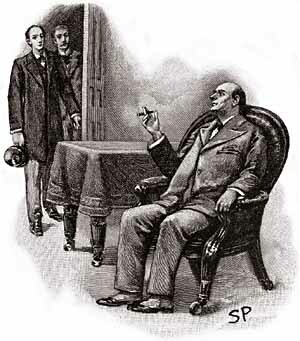 “His Last Bow” takes place in August 1914, and Watson tells us Holmes is 60 years old. Now he could have turned 61 later in the year, but no one really quibbles with that. Holmes quotes Shakespeare several times in the Canon, but Twelfth Night is the only play he quotes twice, therefore, it must have special significance to him…perhaps it’s his birthday. At the beginning of The Valley of Fear, on January 7th, Holmes is irritable. Why? Perhaps he is hungover? Why? Perhaps he was up too late celebrating the night before…on his birthday. January 6th was also Felix Morley’s birthday. Coincidences are odd things, aren’t they? Another person said, “because some guy said so.” Christopher Morley and William Baring-Gould being guys, and also, saying so…well, I took that. My favorite answer was the very succinct, “We don’t.” And indeed, there are other theories out there. January 6th is the one that stuck. And why not? Many wonderful people are born in the coldest, grayest month of the year…. Today is also this blog’s first anniversary. This time last year, I was nervously typing things out, and then (although I knew better) checking to see if anyone would actually read it. It still amazes me that people did! Putting together this blog has been both more challenging and more rewarding than I could have imagined that day. Thank you all so much. Congratulations, Leah, on your first year! And Happy Birthday to Holmes. We don’t get to chose when our birthdays will be or who else will have a birthday in the same month. And to think Holmes shares a birthday in the same month as such a creative person as yourself!!! Thanks for taking the time to develop this blog for those of us who enjoy it. Um, you know, we kind of did with your youngest grandson. Now granted, I don’t think we were going to be allowed to choose the month…but we got to pick the day 😉 It still bugs me that we didn’t make it til October.